Turn your words into pictures with StoryBoard Quick. The popular storyboard software with no drawing necessary. The easy and fast way to communicate your shot ideas. No complicated 3D. No cartoony stick figures. No time-consuming drawing when you use professionally rendered characters and props. Simply click your way to making better shots for your video projects with templates included. 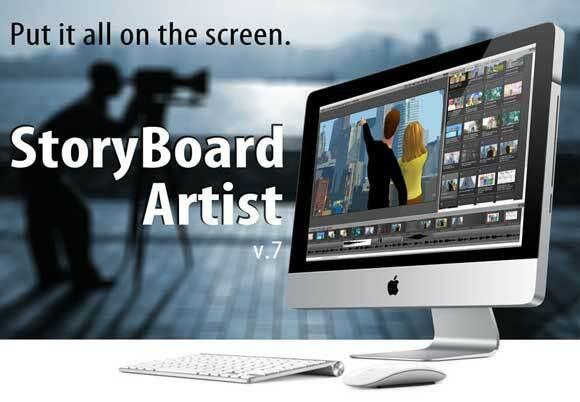 Best digital storyboard software for indy filmmakers and students. Get down to the tough details with StoryBoard Artist previz software. The all-in-one tool to create and present your script and story ideas in storyboard templates and with sound and motion. Adjust 3D characters down to the fingertips. Add sound and FX. Create motion animatics. Perfect for preproduction. Drawing optional when planning shots for your feature film projects. For pro directors of live-action features and animations. It's not easy getting others to see your story ideas the way you do. Scripts are just TLDR. Using StoryBoard Quick's rapid prototyping tools to create your story board plan for media projects helps you do just that. StoryBoard Quick software was created for directors who couldn't draw. But even if you can draw, you'll find that StoryBoard Quick cuts the visualization time by 100%. StoryBoard Quick, is our entry-level product used by directors, writers and auteurs who want to quickly prototype their project for tv, film, video, commercials, & new media. When you need more details and sell your big idea StoryBoard Artist software adds sound, timeline, transitions and animatics to make your feature and animation project sing. Move projects back and forth between your desktop and mobile. Choose characters, props and locations from the extensive storyboard art libraries to create your shot! Or add you own art to the panels. We're here to help you reach your production goals. We can help you get started with video tutorial. Intensive training also available. We'll even do your boards for you! Brainstorm quickly to try new shots and decide before you get to your shoot. Revisions are quick and easy. So much faster than sketching. Saves time and money. Don't even have time to use the fastest storyboarding software on the planet? No worries. Let our experts create your storyboards for you! Just send us your script and you can direct us or let us do a first pass them edit them with your copy of our software. It's so easy. I've used StoryBoard Quick on all the films I've made. It saves a huge amount of time on set, and is a great way to have working and affordable storyboards. 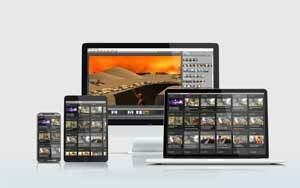 Thank you, PowerProduction Software, for creating the iOS apps and Mac software for storyboarding. It has made my life a lot easier, to be on location scouting and planning out action sequences. On the spot and in the moment, I can create my storyboards, which has helped me immensely. Thank you for your great programs... now let's make some movies! We were shooting a unique sequence, different from our usual three camera set up. I needed to show them how I envisioned 'the car running over Oprah sequence.' So I opened my laptop, fired up StoryBoard Artist and in a few seconds we were all on the same page for the series of shots.